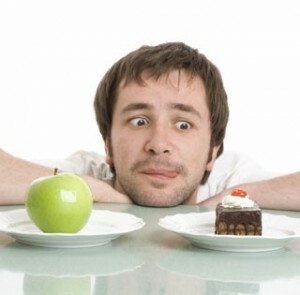 Coping with Cravings by Cultivating Gratitude - Am I Hungry?Am I Hungry? In my last post, I talked about three questions to ask yourself to help you decide what to eat when you have diabetes: What do I want?, What do I need? and What do I have? I also talked about Mike who was struggling with cravings because he was afraid of asking himself what he wanted to eat. I asked Mike to think about the big picture regarding his diabetes care and where he was investing his energy. (This is the last decision point in the Mindful Eating Cycle from chapter 21 of Eat What You Love, Love What You Eat with Diabetes). At that moment, something shifted for Mike. He acknowledged that he had been giving his food cravings a lot of energy, and as a result, he was feeling deprived and resentful about having diabetes. Mike was focused on lack and what he thought he shouldn’t eat. A craving, the desire to have something (food and otherwise), is easier to address when you focus on gratitude instead of scarcity so I asked if he would be willing to try asking the same questions in a different order: What do I have? What do I need? What do I want? As he was able to pause and reflect, he acknowledged that yes, he has diabetes, but he is a bright, capable person with a loving family and a stable job. As we reviewed all the things he had in his life, he saw that he could focus on his abundance rather than a sense of lack. He reported that helped his cravings became more manageable. Pausing to ask, “What do I have?” was an impotant first step. Many people will instantly feel the grip of cravings let go when they cultivating gratitude. When you are struggling with a craving (for food or something else), try asking these three questions in this order: What do I have?, What do I need? and What do I want?